Aged 18-30? Find paid work and travel abroad with our Travel & Earn 360! Earn your way around the world and enjoy time to travel on this ultimate round the world experience! 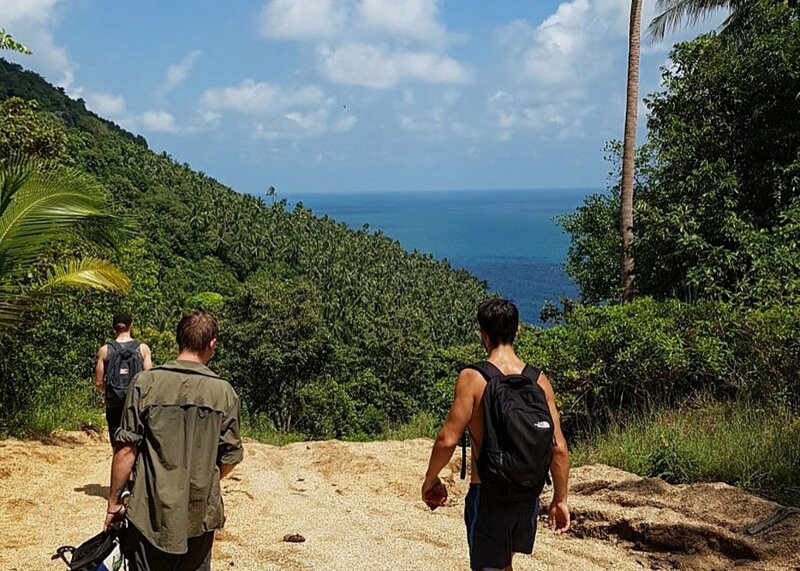 The Travel & Earn 360 is gap year gold: It’s tailor-made for you and offers an incredible opportunity to get a job and earn money in two of the world’s top travel destinations: Australia and New Zealand. 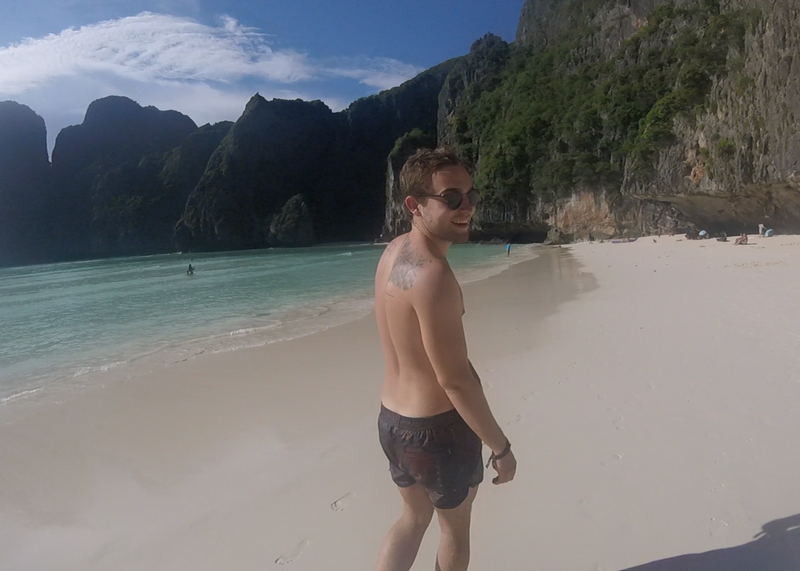 It also includes an amazing adventure in Thailand before you travel Down Under. The Travel & Earn 360 is fully customisable and our expert Travel Advisors are on hand to help create your perfect, tailor-made itinerary. 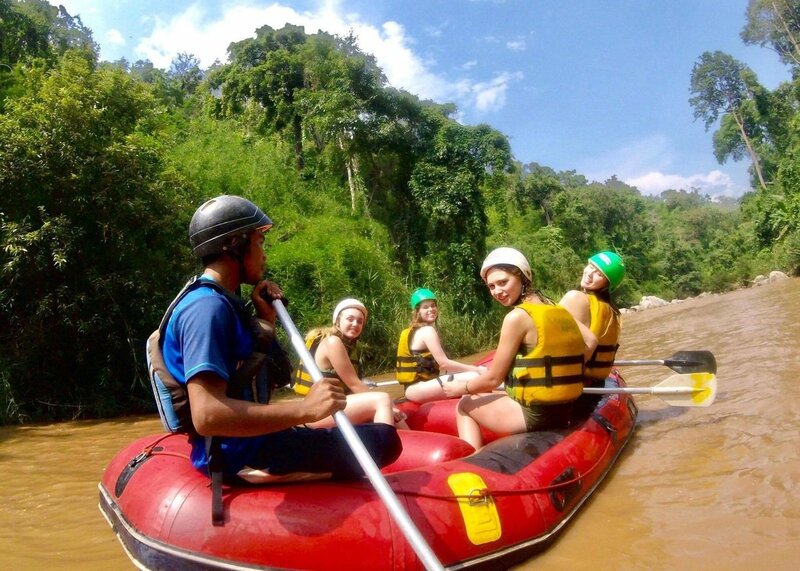 Experience a fun four-week guided adventure tour roaming around Thailand and 8 days packed full of fun activities in and around Sydney and Auckland. Customise your trip with exciting travel add ons. 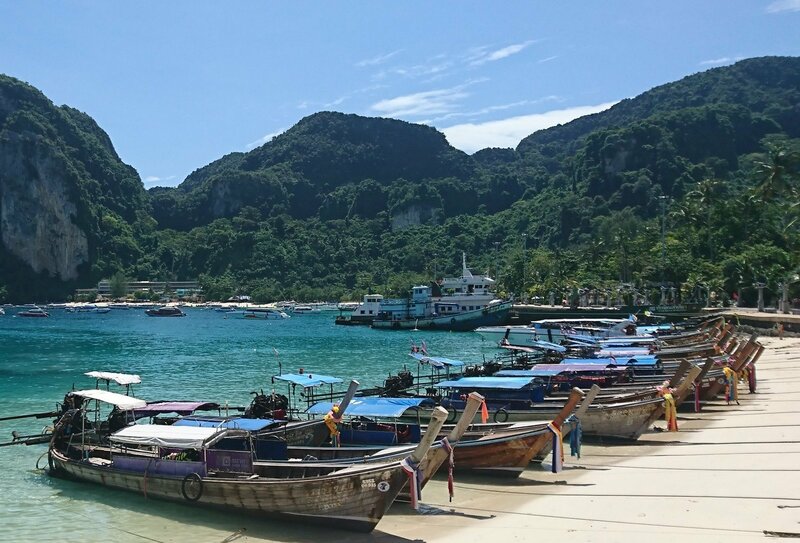 Explore the amazing Phi Phi Islands in Thailand! 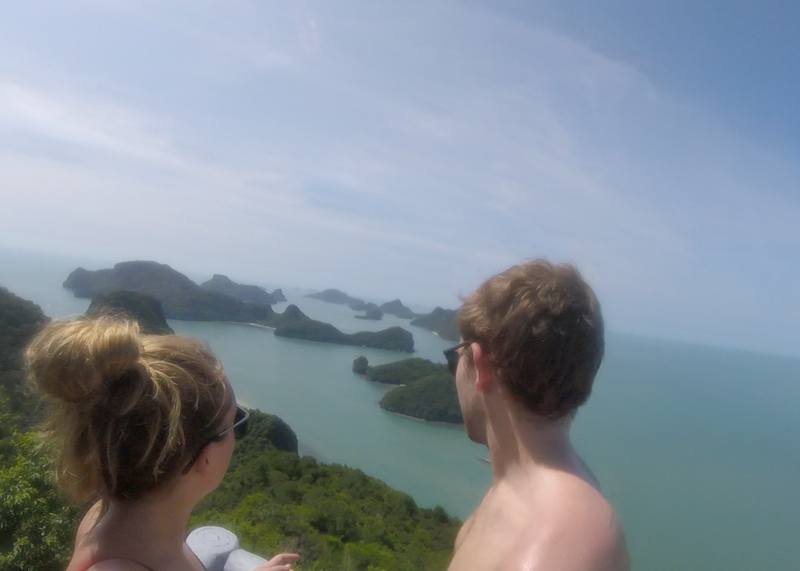 A fully personalised work and travel trip around Asia and Australasia! 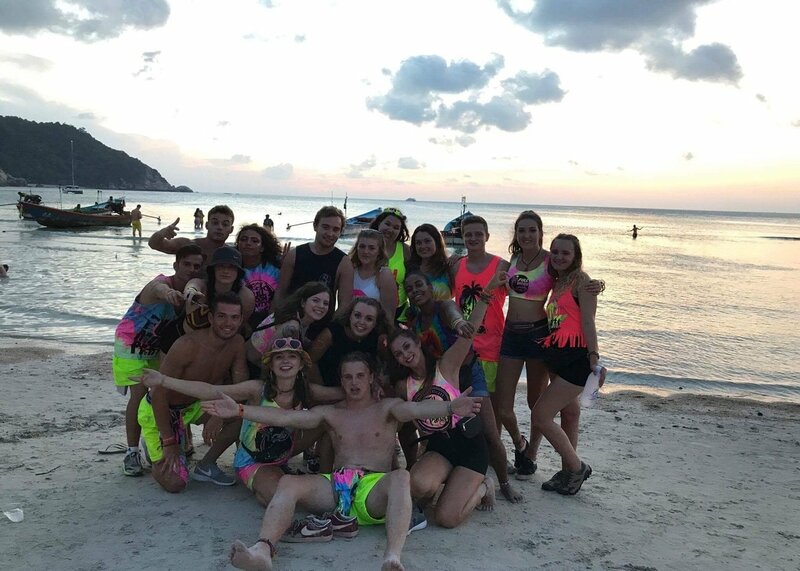 This itinerary offers a great combination of independent work, organised job programmes, Thai adventures and free travel time making the itinerary as flexible as you want it to be! 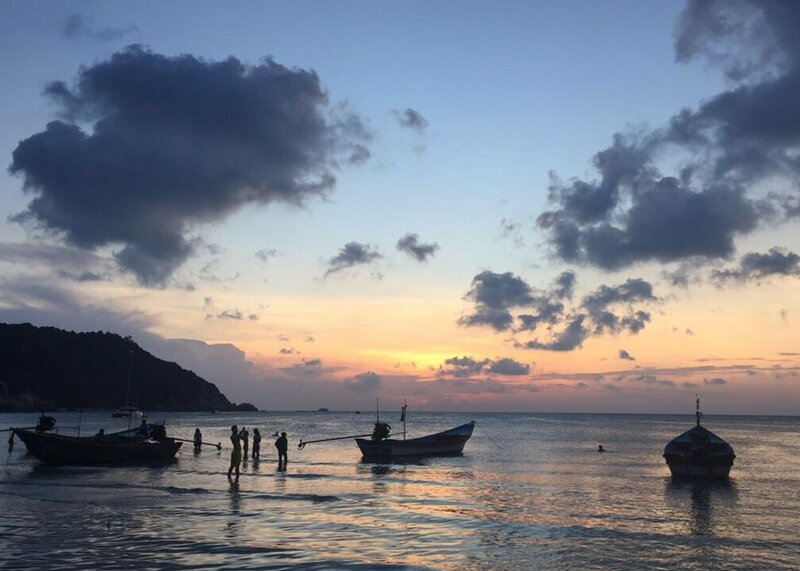 Journey east to Koh Samui and enjoy beach bliss and an excursion to beautiful Angthong National Marine Park. 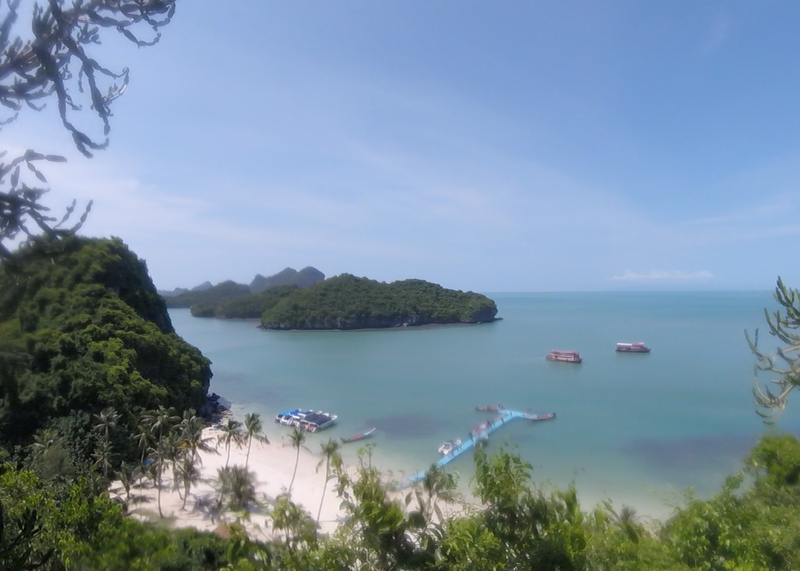 Then, transfer over to Koh Phangan. This laid-back paradise island is famous for hosting the world famous parties. You’ll then enjoy a much-needed detox with a unique temple steam experience. 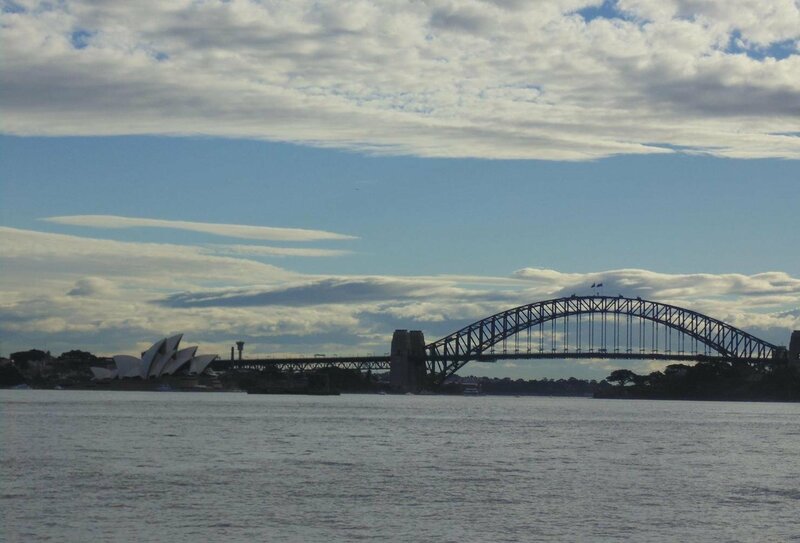 Day 1, Sunday - Arrive in Sydney. Day 2, Monday - Sydney walking tour and welcome dinner. Day 3, Tuesday - Sydney. 9.15am orientation. Sydney Harbour boat cruise and walk to Darling Harbour. 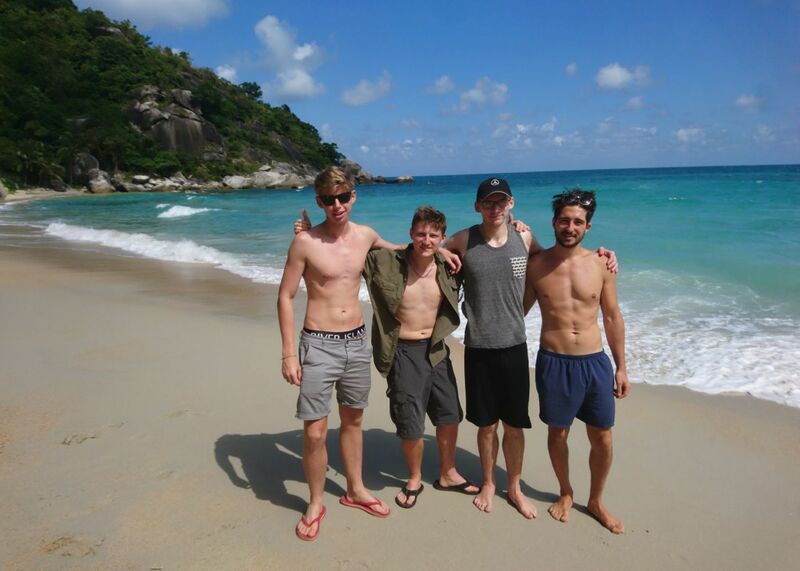 Day 4, Wednesday - Day 6, Friday - 2-night Beach Camp adventure. 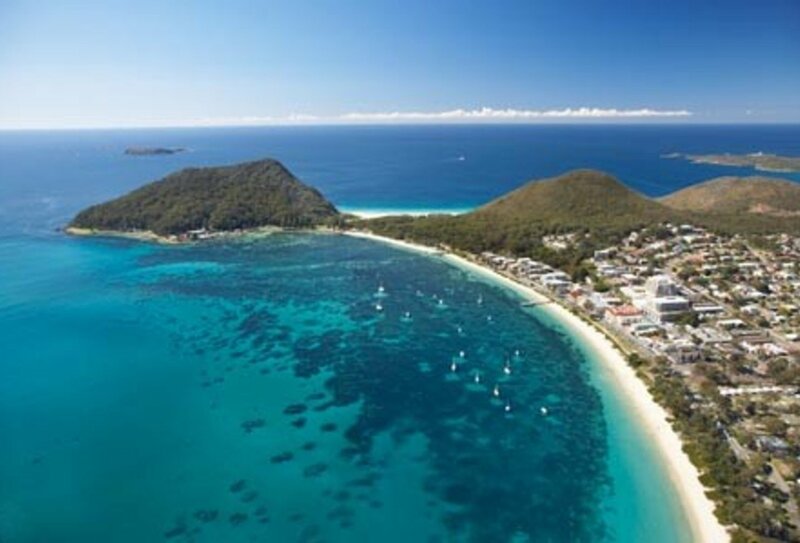 See the rainforest and wildlife, go swimming & dolphin spotting, try night-time possum spotting, go on a 4x4 tour of the sand dunes, go sandboarding, learn about Aboriginal cultures, take a bushwalk through Tomaree National Park and go on a bottlenose dolphin-spotting boat cruise. Day 7: Party Night. Free day to relax and plan onward travel. 7.30p.m: Enjoy entry to four city bars and clubs (plus 4 inclusive drinks!). Hop on a party bus and explore the streets in style! Once your week of fun is over, a day will then be arranged for you to have Aussie work preparation and then it’s time to get job hunting! At this stage you will be eligible and prepared to undertake paid work in Australia. You will also have an inclusive 12 months of job support beyond the initial 8 days. We recommend you take around 6-7 months to work, earn money and travel around Australia, although your working holiday visa allows you to stay for up to twelve months so you can extend your stay if you want. It's best to set aside at least two months to see Australia so you don't miss out on any of the amazing sights. We offer an amazing range of exciting activities and programmes in Australia from as little as a few days to several weeks. Enjoy tours of the East Coast, the West Coast or the Red Centre and see stunning locations such as Fraser Island, Great Ocean Road and Uluru. 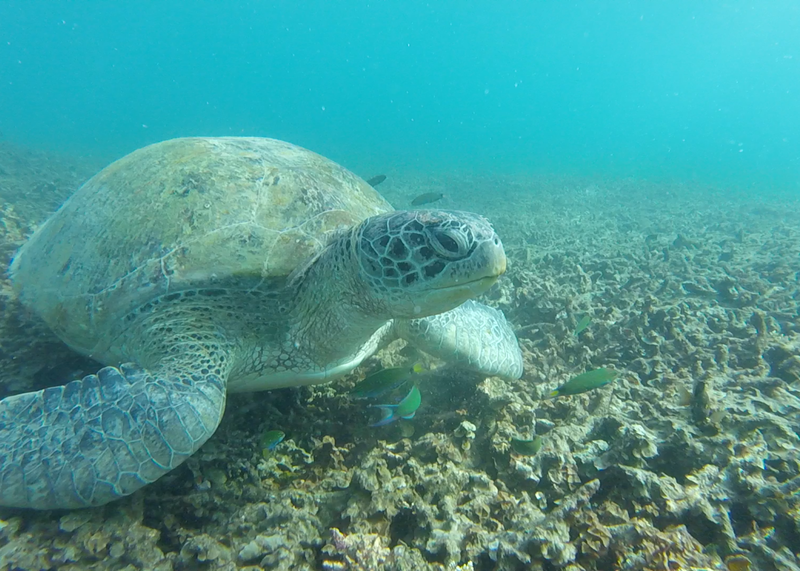 Try thrilling activities such as sailing around the wonderful Whitsundays, learning to dive or surf or just explore all the best bits of Australia during your time Down Under. 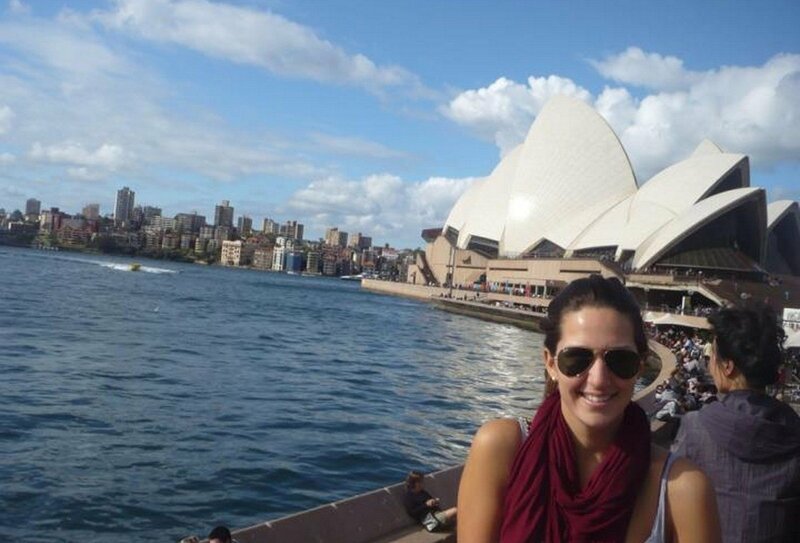 Ask our travel advisors for more amazing Aussie trips and tours and don’t miss a thing! Before you begin your job search you’ll enjoy one week focused on fun, settling in and making new friends, which includes amazing guided activities & sightseeing in Auckland and the Bay of Islands area. Once your first week of fun is over you can kick-start your job search with the expert advice and assistance of our Auckland jobs team. Day 1, Sunday: Arrive in Auckland. Day 2, Monday: Job orientation and presentation in Auckland. Tax registration assistance. Pizza dinner. Day 3, Tuesday: Bank account set up. Guided Auckland city tour. BBQ dinner dinner and pub crawl. Day 4, Wednesday: Depart 7.30am for Paihia, Bay of Islands. Afternoon activities. Day 5, Thursday: Visit Maori village for cultural performance. Russel visit. Hot tub and movie night. Day 6, Friday: Cape Reinga day tour (7am start) plus dune surfing, sandboarding and pub night. Day 7, Saturday: Return to Auckland (at approx 6pm). Please note that accommodation for the night of day 7 is not included but you can book this either before you travel or during your first few days in Auckland. You’re now ready to begin your job hunt! Please note that in order to find paid work in New Zealand you must be aged between 18-30 in order to be eligible for the New Zealand Working Holiday Visa. The rest of your New Zealand itinerary is up to you, and will depend on the jobs you do and how many hours you want to work. There will be plenty of time for travel and you will have a full twelve months of job support from our job support team as part of the package so any time you need a job advice top-up they’ll be there to help out! After the end of the Absolute NZ Jobs programme you will be eligible to undertake paid work across New Zealand. 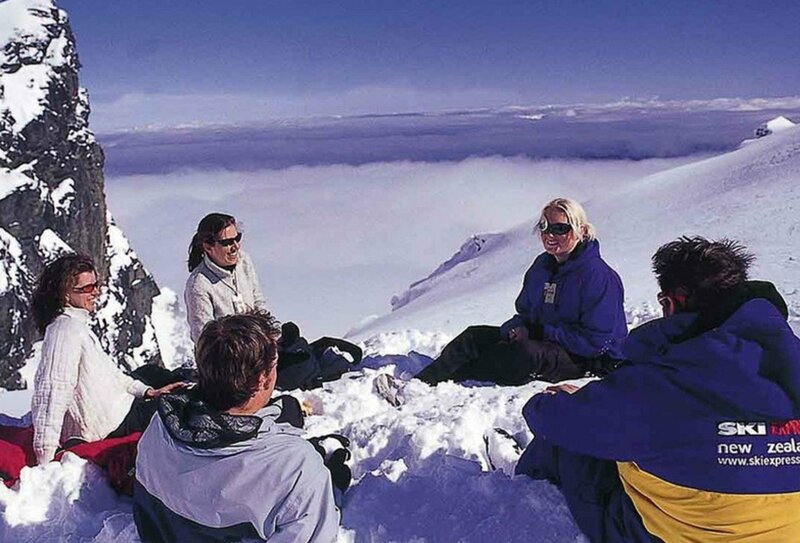 From this point of the trip onwards, you will have independent time in order to work and travel around New Zealand. We recommend you take around 4-5 months to do this, although your visa allows for up to twelve months stay so you can take longer here and less time in Australia if you wish, it's entirely up to you! Why not add in the New Zealand Discovery Pass and make the most of working and travelling all across New Zealand? 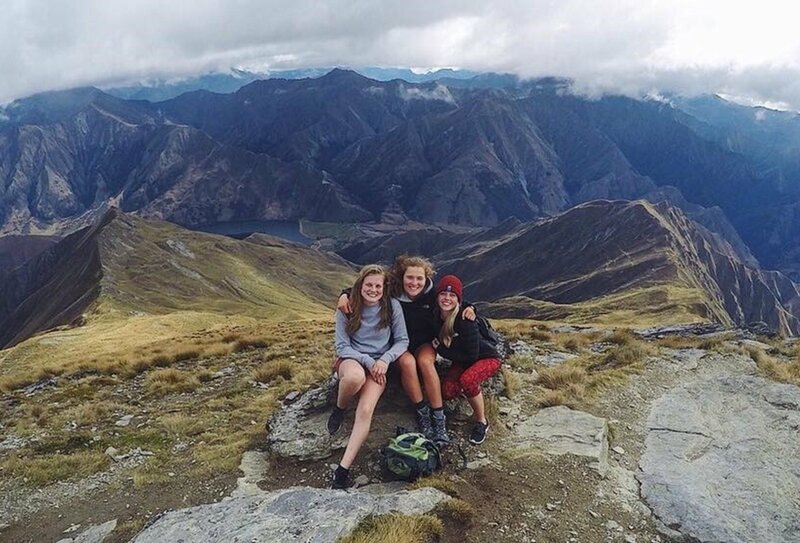 The end of this period of independent work and travel in New Zealand marks the end of the Travel & Earn 360, but don’t get downhearted; plan in even more round the world adventures elsewhere or just head home to tell your friends and family all about your unforgettable adventures! Please note programmes and itineraries on this trip are all subject to change and availability. 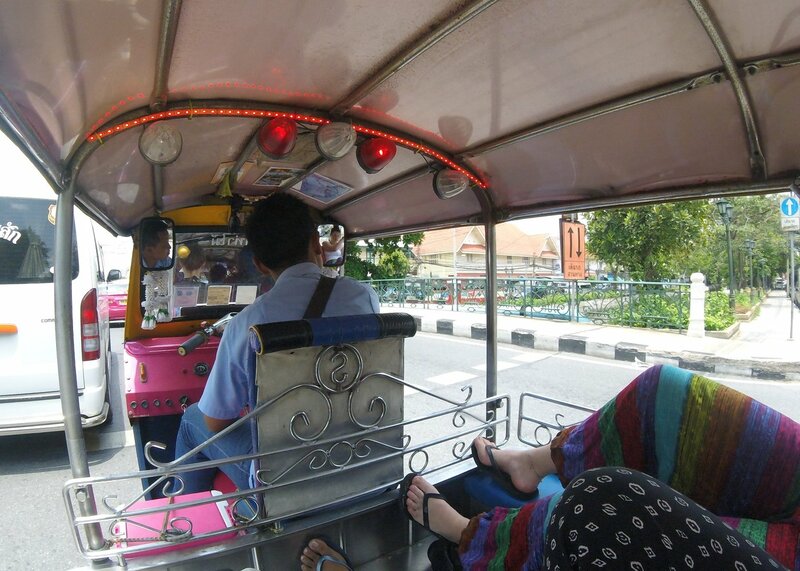 The start date for your Travel & Earn 360 will be the start date for the Thai Adventure part of the programme. Other arrival locations and dates will vary depending on your individual 360 programme. Your travel advisor will help plan your individual itinerary, and you can either opt to book all your fixed start dates for each stage of your 360 journey in advance, or you can opt to leave each programme's start date open-ended to allow for individual travel time. You will need to arrange your initial flight to arrive into Suvarnabhumi Airport (BKK) in Bangkok, Thailand to begin the first leg of your Travel & Earn 360 on your Thai Adventure tour. The Thai Adventure start dates run at least once a month. It is advisable that other flights should be also be arranged before you travel, ensuring you have flights in place from Bangkok – Sydney – (Auckland) – UK. Please ask your Travel Advisor for further information. Tourist and Working Holiday Visas are your responsibility to obtain. You will need to have Working Holiday Visas for both Australia and New Zealand allowing you to work and travel as you please for up to 12 months each (available for 18-30 year olds). You will also need a Tourist Visa for Thailand and any other countries you may wish to include in your itinerary. Most of the time during your Travel & Earn 360 trip you will need to arrange your own independent accommodation. If you’re picking up work as you go, you can easily stay in local hostels. If you prefer to be more grounded for a while you may want to find yourself a flat or shared accommodation rather than continually stay in hostels, as it is normally a much cheaper option. During your Absolute Oz work preparations you will be given all the help and assistance you'll need in order to find a flat in Australia. Meals and accommodation are not included during any independent travel time. If you're worried you'll end up spending all your wages on rent rather than saving up some funds and travelling around, don't be! Once you find work you'll easily be earning enough to cover your stay and living costs, and should have plenty left over to save up or spend on having a great time! Our travel advisors can help with any of your accommodation queries. All your accommodation is included on the Thai Adventure. 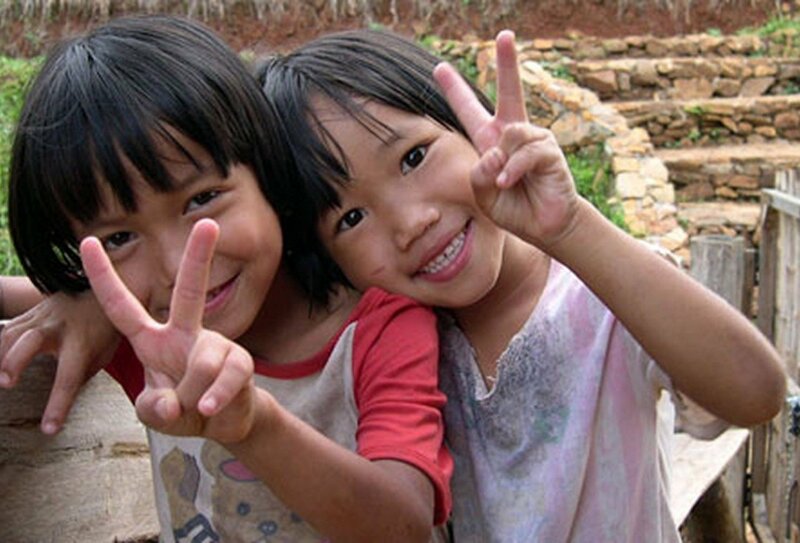 For the majority of the trip your accommodation will be in twin or triple shared guesthouse rooms. 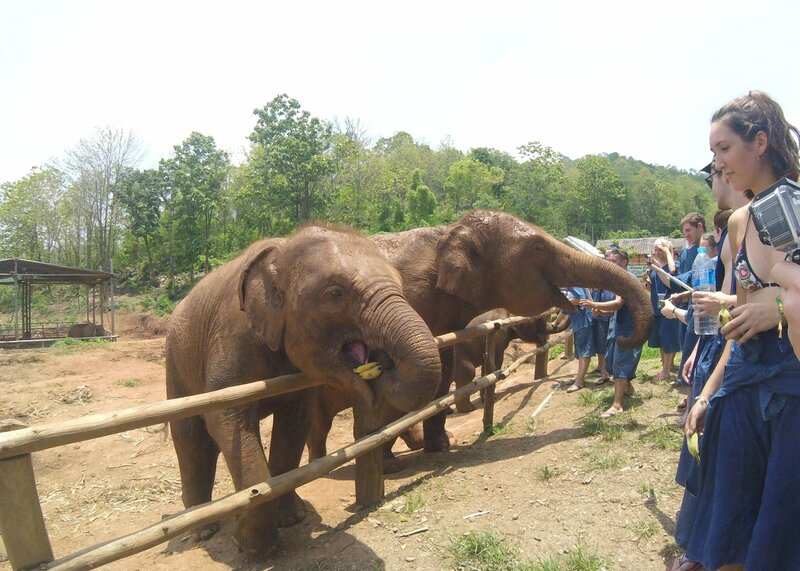 Meals are not included, except lunch at the Elephant Home and meals during the Hill Trek. This means you will need to bring a little extra money to cover your costs. It's very cheap to eat out in Thailand however, and usually a social occasion as the group often likes to find food together. With a wide choice of shops, restaurants, bars, and enticing street vendor food available you can expect to pay about £3-5 for an average meal. Accommodation for the eight nights Absolute Oz programme is included. 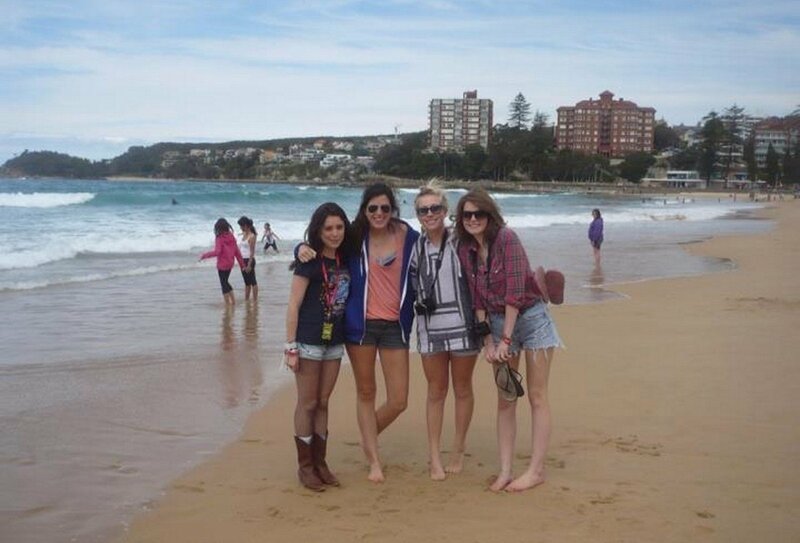 In Sydney, you’ll be staying in a city central hostel and in shared accommodation during your stay at our beach camp. In your hostel in Sydney, you’ll enjoy modern facilities in shared dorm accommodation with up to 10 people. Where meals are not included you’ll be responsible for hunting down your own tucker. With catering facilities at the hostel and an abundance of local cuisine in city restaurants you should have no trouble filling up after a hard day of Aussie exploration! What do I do about accommodation after the first 8 days? After the first 8 days of accommodation some people decide to extend their stay in a hostel or they decide to rent an apartment. The most popular option is to rent an apartment. Our team in Sydney can assist you with this. The advantage of renting is that it is the cheaper option and you get your own private room. 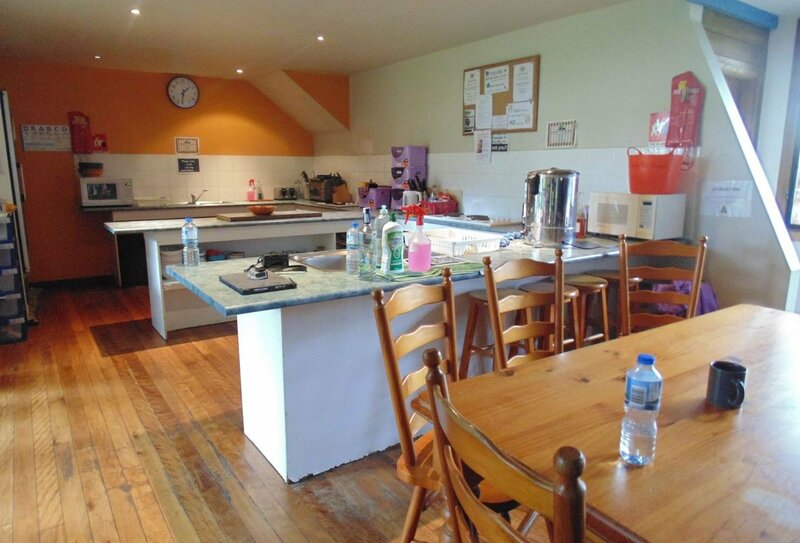 Our customers often end up renting a place with the friends they meet in their first week on the programme. You can expect to pay £100-£150 per week. The minimum contract is normally 3 months but some agencies will ask you to commit to six months. The jobs team will be able to help you with this, and during the first week you get an accommodation tour, where you are shown around suitable flats that are available to rent and our team will help you get signed up if you need it. Please note that when you are working in Australia, you will earn enough to cover your living expenses like rent, food and bills. If you would like anymore information, please contact us for more details. Please note: Accommodation for your final night of the first week (day 7) is not included but you can book this either before you travel to New Zealand or during your first few days in Auckland. Our jobs team in New Zealand can give you great advice and assistance in finding long term accommodation for your time in New Zealand. 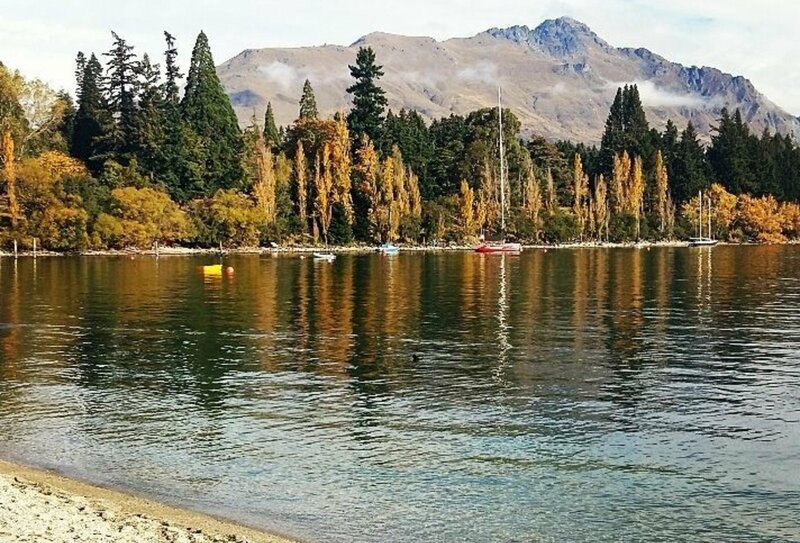 Most travellers who head out to New Zealand end up either sharing an apartment with other Working Holiday travellers or extend their stay in a hostel. The advantage of renting is that it works out cheaply, especially if you share, and you get your own private room. Our customers often end up renting a place with the friends they meet in their first week on the programme. Alternatively you can extend your stay in a hostel. This is a great option for those that want to travel around quite a lot. Hostels offer cheaper rates for those that want a long term stay, for example for one month or more. 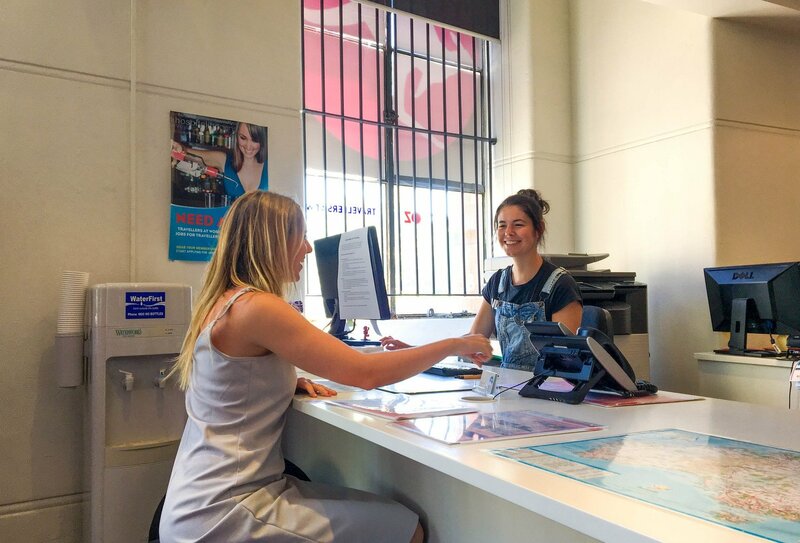 It is really easy to book accommodation in hostels; you can often walk in and get a room that day but we recommend that you make a reservation the night before. The minimum age to join our trips is 18. Please note to be eligible for the Working Holiday Visa’s in both Australia and New Zealand, Immigration Laws state you must be aged between 18-30. You can apply for this online or we can assist you. If you do not meet these age requirements, you can still participate in the trip by entering Australia and New Zealand on Tourist Visa’s, however this will decrease the time you are able to stay for and you will be unable to undertake paid work. Please contact us for further details. Tourist and Working Holiday Visa’s are your responsibility to obtain, though our Travel Advisors are readily available to help. You will need to have Working Holiday Visa’s for both Australia and New Zealand allowing you to work and travel as you please for up to 12 months each. 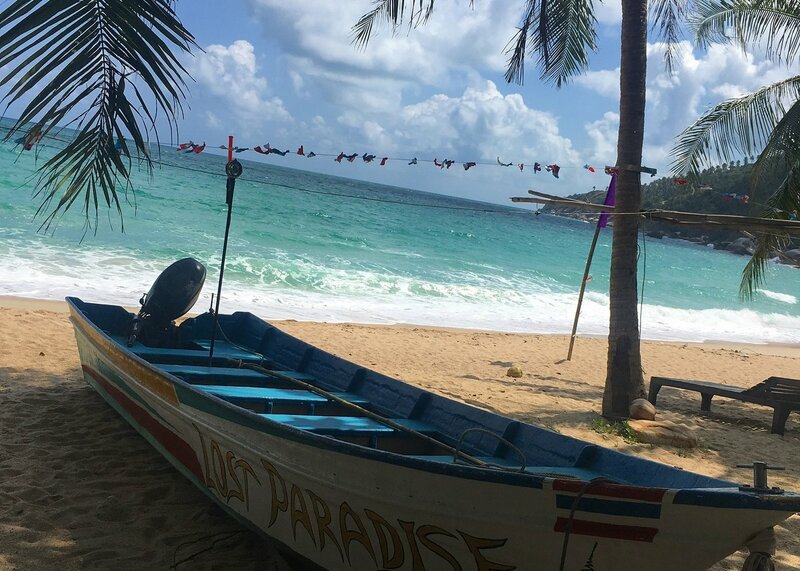 In Thailand, the allowed duration of your trip varies depending upon how you plan to arrive into Thailand. Without a visa, British nationals arriving by air can remain in the country for a maximum of 30 days. If you wish to extend your trip for more than 30 days then you will need to apply for a 60 day tourist visa before you depart the UK.